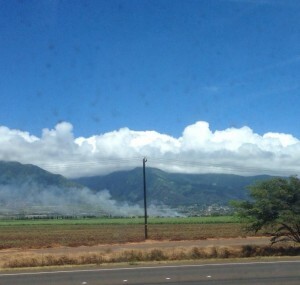 Two fires in Kahului burned a total of 3.5 acres on the 4th of July public holiday, fire officials reported. 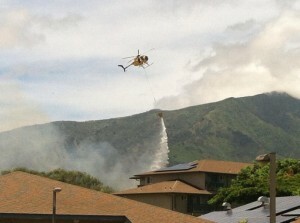 Fires near the Dunes at Maui Lani Golf Course. 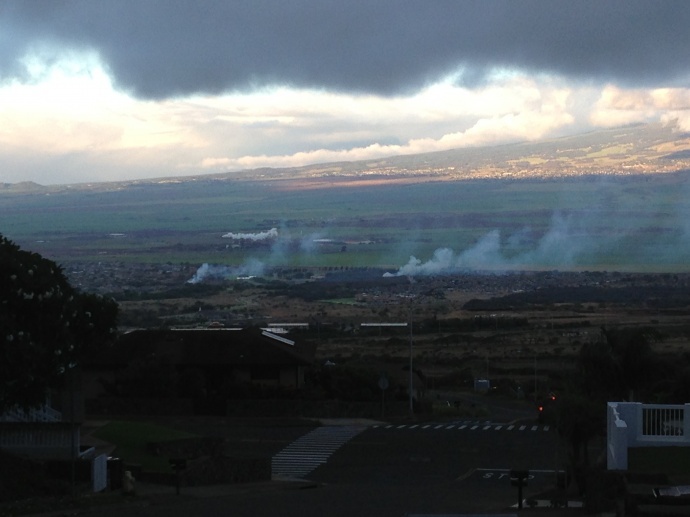 Photo courtesy Bino Melendez Jr.
Maui Fire Services Chief Lee Mainaga said the first fire occurred near the Dunes at Maui Lani Golf Course restaurant. 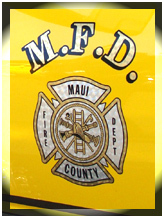 While working the Maui Lani brush fire, fire fighters were alerted to another brush fire at nearby Mahaolu and Hoomuku Streets. Engine companies from Kahului, Wailuku, Makawao, and Air-1 arrived to an area east of the restaurant, with approximately 3 acres of dry brush involved in fire. The first fire was called under control at 12:20 p.m.
Crews were reported as still on scene as of mid-afternoon conducting mop up operations. 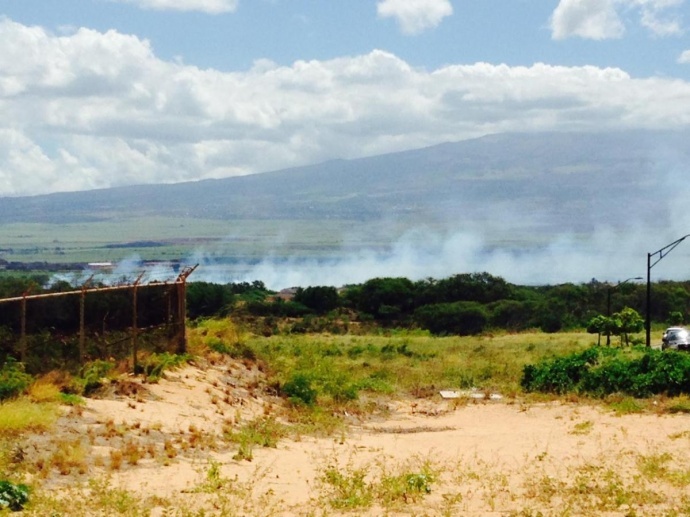 Fires near the Dunes at Maui Lani Golf Course. Photo courtesy Maura Sindel. Fire officials reported that no structures were threatened and no damages were reported. The cause of the fire was determined to be fireworks related. Evidence of fireworks were found on scene during the investigation. In the Mahaolu and Hoomuku Street fires, fire officials say crews responded and arrived to find an area about a half acre in size involved. This fire was also called under control at 12:20 pm and called extinguished at 12:52 p.m. No damages or injuries were reported. The cause of the second fire is undetermined and is still under investigation.